The paper has undergone significant modifications following an additional set of peer reviews organized by Journal of 9/11 Studies Editor Kevin Ryan.An earlier version is now published in a volume edited by David Ray Griffin and Peter Dale Scott, 9/11 And the American Empire: Intellectuals Speak Out, Northampton, MA: Interlink Publishing, 2006. It is published here by kind permission of the editors. One of the editors (Prof. Griffin) has explained that there were four reviewers for my paper, all Ph.D’s, two were Physicists. To clarify some apparent confusion: the paper is not published in “The Hidden History of 9-11-2001,” Elsevier, 2006, although that volume does contain a number of relevant articles. We start with the fact that large quantities of molten metal were observed in basement areas under rubble piles of all three buildings: the Twin Towers and WTC7. 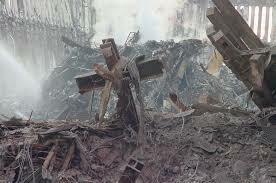 A video clip provides eye-witness evidence regarding this metal at ground zero: . 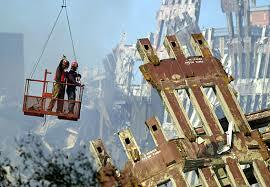 Frank Silecchia show chunks of the hot metal being removed from the North Tower rubble on September 27, 2001 . Notice the color of the lower portion of the extracted metal — this tells us much about the temperature of the metal and provides important clues regarding its composition, as we shall see. Next, as a basis for discussion, I invite you to consider the collapse of the 47-story WTC 7, which was never hit by a jet. Did the building collapse straight down (nearly symmetrically) – or did it topple over? Molten Metal: Flowing and in Pools. ‘They showed us many fascinating slides’ [Eaton] continued, ‘ranging from molten metal which was still red hot weeks after the event, to 4-inch thick steel plates sheared and bent in the disaster’. Notice that the molten metal (probably not steel alone; see discussion below) was flowing down in the rubble pile early on; so it is not the case that the molten metal pools formed due to subterranean fires after the collapses. kept in a fairly-well insulated underground location. Moreover, as hypothesized below, thermite reactions may well have resulted in substantial quantities (observed in pools) of molten iron at very high temperatures – initially above 2,000 °C (3,632 °F). At these temperatures, various materials entrained in the molten metal pools will continue to undergo exothermic reactions which would tend to keep the pools hot for weeks despite radiative and conductive losses. Any thermite cutter charges which did not ignite during the collapse could also contribute to the prolonged heating. Thus, molten metal was repeatedly observed and formally reported in the rubble piles of the WTC Towers and WTC 7, metal that looked like molten steel or perhaps iron. Scientific analysis would be needed to conclusively ascertain the composition of the molten metal in detail. 2Al + Fe2O3 = Al2O3 + 2Fe (molten iron), ∆H = − 853.5 kJ/mole. Thermite contains its own supply of oxygen and so the reaction cannot be smothered, even with water. Use of sulfur in conjunction with the thermite, which we call “thermate,” will accelerate the destructive effect on steel, and sulfidation of structural steel was indeed observed in some of the few recovered members from the WTC rubble. On the other hand, falling buildings (absent incendiaries such as thermite) have insufficient directed energy to result in melting of large quantities of metal; any particles of molten metal somehow formed during collapse will not coalesce into molten pools of metal! The government reports admit that the building fires were insufficient to melt steel beams — then where did the molten metal pools come from? Your gut reaction would be the jet fuel is what made the fire so very intense, a lot of people figured that’s what melted the steel. Indeed it did not, the steel did not melt. And in an a fact sheet released in August, 2006, NIST states: “In no instance did NIST report that steel in the WTC towers melted due to the fires. « The fire is the most misunderstood part of the WTC collapse. Even today, the media report (and many scientists believe) that the steel melted. It is argued that the jet fuel burns very hot, especially with so much fuel present. This is not true…. 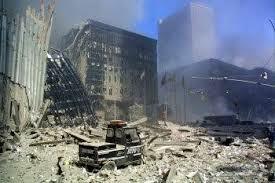 The temperature of the fire at the WTC was not unusual, and it was most definitely not capable of melting steel. We will return to the question of fire-induced stresses and WTC collapses later. Even without a direct elemental analysis, we can rule out some metals based on available data. 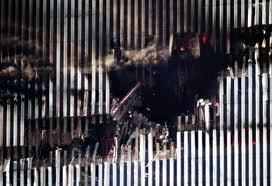 The photograph in the introduction shows a chunk of hot metal being extracted at ground zero. The hottest portion of the chunk is the lower portion, which was deepest down in the slag, and the metal is seen to be yellow-hot, certainly above cherry-red hot. The following table provides data regarding the melting temperatures of lead, aluminum, structural steel and iron, along with approximate metal temperatures by color. Note that the approximate temperature of a hot metal is given by its color, quite independent of the composition of the metal. (A notable exception is falling liquid aluminum, which due to low emissivity and high reflectivity appears silvery-gray in daylight conditions, after falling through air 1-2 meters, regardless of the temperature at which the poured-out aluminum left the vessel. Aluminum does incandesce (glow) like other metals, but faintly, so that with the conditions described in the previous sentence (which prevailed at the WTC on 9/11), falling liquid aluminum will appear silvery-gray. Rapid oxidation of the hot flowing aluminum will contribute to the observed appearance. It is highly unlikely that jet fuel was present to generate such explosions especially on lower floors, and long after the planes hit the buildings. Dr. Shyam Sunder, Lead Investigator for NIST stated: « The jet fuel probably burned out in less than 10 minutes.” »Electrical explosions » would clearly be insufficient to bring a steel-frame skyscraper down, in any building built to code. On the other hand, pre-positioned explosives provide a plausible and simple explanation for the observed detonations followed by complete building collapses. Thus, it cannot be said that “no evidence” can be found for the use of explosives. This serious matter needs to be treated as a plausible scientific hypothesis and thoroughly investigated. The horizontal ejection of structural steel members for hundreds of feet and the pulverization of concrete to flour-like powder, observed clearly in the collapses of the WTC towers, provide further evidence for the use of explosives – The observed plumes or « squibs » are far below the pulverization region and therefore deserving of particular attention. 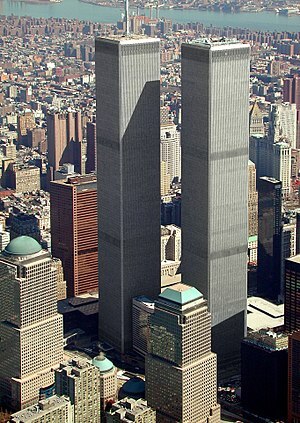 Unlike WTC7, the twin towers appear to have been exploded “top-down” rather than proceeding from the bottom – which is unusual for controlled demolition but clearly possible, depending on the order in which explosives are detonated. That is, explosives may have been placed on higher floors of the towers and exploded via radio signals so as to have early explosions near the region where the plane entered the tower. Certainly this hypothesis ought to be seriously considered in an independent investigation using all available data. 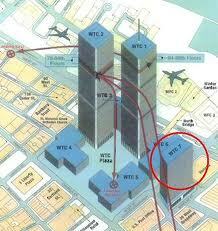 The rapid fall of the Towers and WTC7 has been analyzed by several engineers/scientists . The roof of WTC 7 (students and I are observing the southwest corner as it commences its steady fall) falls to earth in (6.5 +- 0.2) seconds, while an object dropped from the roof (in a vacuum) would hit the ground in 6.0 seconds. This follows from t = (2H/g)1/2. Likewise, the Towers fall very rapidly to the ground, with the upper part falling nearly as rapidly as ejected debris which provide free-fall references. Where is the delay that must be expected due to conservation of momentum – one of the foundational Laws of Physics? That is, as upper-falling floors strike lower floors – and intact steel support columns – the fall must be significantly impeded by the impacted mass. If the central support columns remained standing, then the effective resistive mass would be less, but this is not the case – somehow the enormous support columns failed/disintegrated along with the falling floor pans. Peer-reviewed papers which further analyze the WTC skyscraper collapses, by Dr. Frank Legge, Professor Kenneth Kuttler, Gordon Ross and Kevin Ryan, are recommended. How do the upper floors fall so quickly, then, and still conserve momentum and energy in the collapsing buildings? The contradiction is ignored by FEMA, NIST and 9-11 Commission reports where conservation of energy and momentum and the fall-times were not analyzed. Gordon Ross argues that when conservation of energy and momentum are factored in, then a gravity-driven collapse will be arrested, so that only a partial collapse of the Tower would occur. The paradox is easily resolved by the explosive demolition hypothesis, whereby explosives quickly remove lower-floor material including steel support columns and allow near free-fall-speed collapses. 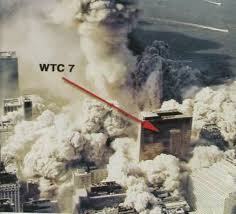 And these explosives also readily account for the turning of the falling Towers to fine dust as the collapse ensues. Rather than a piling up with shattering of concrete as we might expect from non-explosive-caused progressive collapse (“official theory”), we find that most of the Towers material (concrete, carpet, etc.) is converted to flour-like powder WHILE the buildings are falling. The Towers’ collapses are not typical random collapses, but quite possibly a series of “shock-and-awe” explosions coupled with the use of thermate-incendiaries – at least the evidence points strongly in this direction. The hypothesis ought to be explored further. What happens to the block and its angular momentum? Indeed, if we seek the truth of the matter, we must NOT ignore the data to be observed during the actual collapses of the towers, as the NIST team admits they did. But why did they follow such a non-scientific procedure as to ignore highly-relevant data? The business smacks of political constraints on what was supposed to be an “open and thorough” investigation. So I with others call for an open and thorough investigation. I hope the international community will rise to the challenge. The field is wide open for considering the alternative hypothesis outlined here, due to its neglect in studies funded by the US government. 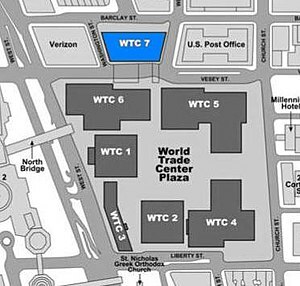 Careful observation of the collapse of WTC 7 demonstrates a downward “kink” near the center of the building first, suggesting “pulling” of the support columns, then the building’s sides pull inward such that the building “collapses straight down into its own footprint” (Harris, 2000). 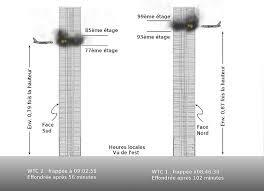 The plumes of debris observed on upper floors of WTC 7 as the collapse begins appear consistent with explosive cutting of supports for « a few upper stories » as outlined above. FEMA admitted that WTC 7 collapsed onto a well-confined footprint: The collapse of WTC 7 had a small debris field as the facade was pulled downward, suggesting an internal failure and implosion… The average debris field radius was approximately 70 feet. Evidently we agree that this was a beautifully done implosion in the collapse of WTC 7, and yet: This feat requires such skill that only a handful of demolition companies in the world will attempt it. Consider: Why would terrorists undertake straight-down collapses of WTC7 and the Towers, when “toppling-over” falls would require much less work and would do much more damage in downtown Manhattan? And where would they obtain the necessary skills and access to the buildings for a symmetrical implosion anyway? These questions suggest the need for further investigation. One of the people a thorough investigation should question would be demolition expert Mark Loizeaux, president of Controlled Demolition, Inc. Speaking of the way the WTC buildings came down, he said in an interview: “If I were to bring the towers down, I would put explosives in the basement to get the weight of the building to help collapse the structure.” Just right – “explosives in the basement” agrees with eyewitness reports of pre-collapse explosions down low in the buildings (point 7 above). Also, this would be the way to effectively sever the support columns, consistent with both the apparent initial drop of the communication tower (WTC Tower 1) and the “kink” in the middle of WTC 7 as its collapse began. Yes, and as president of Controlled Demolition, Inc., Mr. Loizeaux would know the “handful of demolition companies in the world [that] will attempt” a symmetrical controlled demolition or « implosion ». ) His company is certainly one of these and was hired to help in the rapid clean-up work following the building collapses. In summary, we have discovered substantial evidence supporting the idea that thermites were used on the steel columns of the WTC Tower to weaken the huge steel supports, not long before explosives finished the demolition job. We can next estimate the amount of explosives needed by comparing with a known controlled demolition: the explosive demolition of the Landmark Tower. “The explosive charges used to bring down the Landmark Tower [380 ft tall, 30 stories] weighed only 364 pounds [165 kilograms], consisting of 198 pounds of 60-percent nitroglycerine-based gel in 1-1/4 inch sticks, and 166 pounds of RDX (a C-4 derivative). 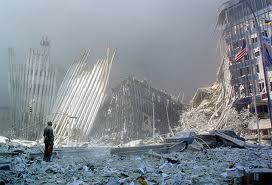 » Scaling to the 110-story WTC Towers, roughly 1300 pounds [590 kg] of explosives per Tower would suffice. Scaling to the size of WTC 7, 570 pounds [260 kg] would be indicated. The videos referenced above show WTC 7 falling top-down, in conventional controlled demolition fashion. On the other hand, the Towers were evidently demolished from the top downward, which although unusual is certainly possible using explosives. Indeed, for very tall towers such as these, top-down demolition seems be the best approach, to avoid toppling over of the tower onto surrounding buildings. Explosives such as RDX, or HMX, or superthermites, when pre-positioned by a small team of operatives, would suffice to cut the supports at key points such that these tall buildings would completely collapse with little damage to surrounding buildings. Radio-initiated firing of the charges is implicated here, perhaps using superthermite matches Using computer-controlled radio signals, it would be an easy matter to begin the explosive demolition near the point of entry of the planes in the Towers (to make it appear that the planes somehow initiated the collapse.) In this scenario, linear cutter-charges would have been placed at numerous points in the building, mostly on the critical core columns, since one would not know beforehand exactly where the planes would enter. If you still haven’t looked at the rapid symmetrical collapse of WTC7 for yourself, why not do so now? Watch for the initial “kink” or drop in the middle, and for the plumes blowing in sequence up the side of the building, and notice the symmetrical, straight-down collapse. Furthermore, the collapse is rapid and complete, with the building falling quite neatly onto its own footprint. All of these features are common in controlled demolitions. 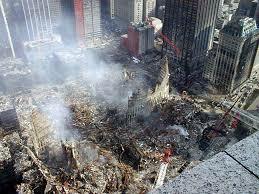 The WTC towers were solidly constructed with 47 steel core columns and 240 perimeter steel columns. 287 steel-columns total. Many doubt that random fires/damage could cause them to collapse completely and straight down (official theory), and suspect that explosives were used to cause the complete collapse of these buildings. Steel-frame: Huge core is an enormous heat sink. Notice workers standing on floor pan which is firmly attached to the interconnected core columns. Clearly, the Towers were not “hollow tubes.” They do NOT explain how steel-column temperatures above 800oC were achieved near- simultaneously due to burning office materials. NIST notes that office materials in an area burn for about 15-20 minutes, then are consumed away . This is evidently not long enough to raise steel column temperatures above 800oC as required in the Bazant & Zhou model, given the enormous heat sinks of the structures. And to have three buildings completely collapse due to this unlikely mechanism on the same day strains credulity. As I’m sure you know, the company I work for certified the steel components used in the construction of the WTC buildings. In requesting information from both our CEO and Fire Protection business manager last year… they suggested we all be patient and understand that UL was working with your team… I’m aware of UL’s attempts to help, including performing tests on models of the floor assemblies. But the results of these tests… indicate that the buildings should have easily withstood the thermal stress caused by… burning . That models of WTC trusses at Underwriter Laboratories (UL) subjected to fires did NOT fail is also admitted in the final NIST report: NIST contracted with Underwriters Laboratories, Inc. to conduct tests to obtain information on the fire endurance of trusses like those in the WTC towers…. All four test specimens sustained the maximum design load for approximately 2 hours without collapsing… The Investigation Team was cautious about using these results directly in the formulation of collapse hypotheses. In addition to the scaling issues raised by the test results, the fires in the towers on September 11, and the resulting exposure of the floor systems, were substantially different from the conditions in the test furnaces. Nonetheless, the [empirical test] results established that this type of assembly was capable of sustaining a large gravity load, without collapsing, for a substantial period of time relative to the duration of the fires in any given location on September 11. So how does the NIST team justify the WTC collapses, when actual models fail to collapse and there are zero examples of fire-caused high-rise collapses? Easy, NIST concocted computer- generated hypotheticals for very “severe” cases, called cases B and D 138). Of course, the details are rather hidden to us. And they omit consideration of the complete, rapid and symmetrical nature of the collapses. 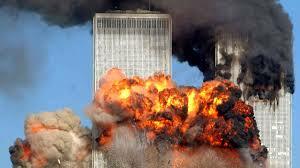 The focus of the Investigation was on the sequence of events from the instant of aircraft impact to the initiation of collapse for each tower. For brevity in this report, this sequence is referred to as the « probable collapse sequence, » although it does not actually include the structural behavior of the tower after the conditions for collapse initiation were reached…The results were a simulation of the structural deterioration of each tower from the time of aircraft impact to the time at which the building became unstable, i.e., was poised for collapse. …What about the subsequent complete, rapid and symmetrical collapse of the buildings? What about the observed squibs? What about the antenna dropping first in the North Tower? 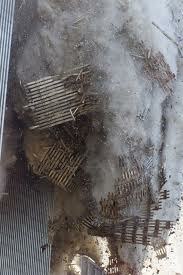 What about the molten metal observed in the basement areas in large pools in both Towers and WTC 7 as well? Never mind all that: NIST did not discuss at all any data after the buildings were “poised for collapse.” Well, some of us want to look at ALL the data, without « black-box » computer simulations that are “adjusted,” perhaps to make them fit the desired outcome. An hypothesis which is non-refutable is non-scientific. On the other hand, Occam’s razor suggests that the simplest explanation which addresses and satisfies ALL the evidence is most probably correct. An article in the journal New Civil Engineering (NCE) lends support to concerns about the NIST analysis of the WTC collapses. It states: World Trade Center disaster investigators [at NIST] are refusing to show computer visualizations of the collapse of the Twin Towers despite calls from leading structural and fire engineers, NCE has learned. Visualisations of collapse mechanisms are routinely used to validate the type of finite element analysis model used by the [NIST] investigators. The collapse mechanism and the role played by the hat truss at the top of the tower has been the focus of debate since the US National Institute of Standards & Technology (NIST) published its findings…. University of Manchester [U.K.] professor of structural engineering Colin Bailey said there was a lot to be gained from visualising the structural response. “NIST should really show the visualisations; otherwise the opportunity to correlate them back to the video evidence and identify any errors in the modeling will be lost,” he said….A leading US structural engineer said NIST had obviously devoted enormous resources to the development of the impact and fire models. “By comparison the global structural model is not as sophisticated,” he said. “The software used [by NIST] has been pushed to new limits, and there have been a lot of simplifications, extrapolations and judgment calls.” Here we have serious concerns about the NIST WTC collapse report raised by structural and fire engineers, augmenting the arguments raised here by a physicist. 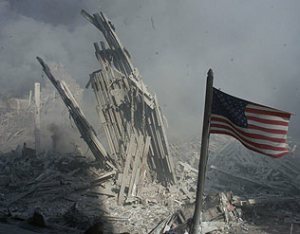 The thirteen points above provide scientific data and analyses that support my call for an immediate investigation of 9/11 events, while challenging the official story. A few other considerations provide further motivation for the proposed urgent investigation. And what are the odds that the office furnishings converged to supply highly directed and (somehow) forced-oxygen fires at very precise points on the remaining columns? Is it another one in a thousand? What is the chance that those points would then all soften in unison, and give way perfectly, so that the highly dubious « progressive global collapse » theory could be born? I wouldn’t even care to guess. But finally, with well over a hundred fires in tall buildings through history, what are the chances that the first, second and third incidents of fire-induced collapse would all occur on the same day? Let’s say it’s one in a million. Considering just these few points we’re looking at a one in a trillion chance, using generous estimates and not really considering the third building (no plane, no jet fuel, different construction. How convenient that our miraculous result, combined with several other trains of similarly unlikely events [no interception of hijacked planes by the military on 9/11, etc. ], gives us reason to invade the few most strategically important lands for the production of oil and natural gas…” Nor does NIST (or FEMA or the 9-11 Commission) even mention the molten metals found in the basements of all three buildings (WTC 1, 2 and 7).So where does that leave us? I strongly agree with Kevin Ryan when he says,This [“official”] story just does not add up…. That fact should be of great concern to all Americans…. 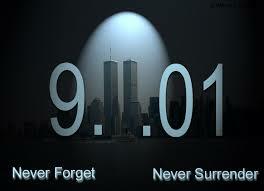 There is no question that the events of 9/11 are the emotional driving force behind the War on Terror. And the issue of the WTC collapse is at the crux of the story of 9/11. Hoffman, 2004, p. 26) And then to undergo failure at the same time for straight down collapse, well, no, this scenario is far too improbable. — but realistic cases do not actually lead to building collapse. So they “adjust” inputs until the model finally shows collapse initiation for the most severe cases. The details of these “adjustments” are hidden from us, in their computerized hypotheticals, but “the hypothesis is saved.” NIST also has Underwriters. Laboratories construct models of the WTC trusses, but the models withstand all fires in tests and do NOT collapse. We are left without a compelling fire/impact-damage model, unless one blindly accepts the NIST computer simulation while ignoring the model fire-endurance tests, which I’m not willing to do. NIST did not even do the routinely-used visualizations to validate their finite- element analysis model (point 13 above). And none of the “official” models outlined above accounts for what happens to the buildings AFTER the building is “poised for collapse” – namely the rapid and nearly-symmetrical and complete collapses. Reports of explosions, heard and seen, are not discussed. And they ignore the squibs seen ejected from floors far from where the jets hit – particularly seen in WTC 7 (where no jet hit at all). Finally, what about that molten metal under the rubble piles of all three WTC skyscrapers and the yellow-white hot molten metal seen flowing from the South Tower just prior to its collapse? Remarkably, the controlled-demolition hypothesis accounts for all the available data rather easily. The core columns (and corner perimeter columns) on floors damaged by the planes are cut near-simultaneously using radio-signaled explosives/incendiary-cutters. In this scenario, cutter-charges were set every two or three floors during routine “maintenance” of elevator shafts, etc., so that the cutting sequence could be matched in a controlling computer to begin at the level where the plane entered each Tower. Next cutter-charges were detonated from the top downward for the Towers, ejecting beams and material long distances horizontally as observed during the destruction. The “collapses” are thus near-symmetrical, complete, at near-free-fall speeds with accompanying “squibs”. Thermite analogs (whose end product is molten iron) including the explosive form, nano-thermite, may account for the molten metal which then pooled beneath the rubble piles as well as the sulfidation observed in steel from both the WTC 7 and Towers rubble piles (points 1 and 2 above). WTC 7 evidently proceeded in a more conventional fashion for controlled demolition, with collapse-initiating explosions starting on lower floors (rather than at high-floor levels as for the Towers). I believe this is a straightforward hypothesis, much more probable actually than the official hypothesis. It deserves thorough scientific scrutiny, beyond that which I have been able to outline in this treatise. fire-based mechanisms. On the other hand, hundreds of buildings have been completely and symmetrically demolished through the use of pre-positioned explosives. And high- temperature chemical reactions can account for the observed large pools of molten metal, under both Towers and WTC 7, and the sulfidation of structural steel. The controlled- demolition hypothesis cannot be dismissed as « junk science » because it better satisfies tests of repeatability and parsimony. It ought to be seriously (scientifically) investigated and debated. A truly independent, cross-disciplinary, international panel should be formed. Such a panel would consider all viable hypotheses, including the pre-positioned-explosives theory, guided not by politicized notions and constraints, but rather by observations and calculations, to reach a scientific conclusion. If possible it would question, under oath, the officials who approved the rapid removal and destruction of the WTC steel beams and columns before they could be properly analyzed. None of the government-funded studies have provided serious analyses of the explosive demolition hypothesis at all. Until the above steps are taken, the case for accusing ill-trained Muslims of causing all the destruction on 9-11-01 is far from compelling. It just does not add up. And that fact should be of great concern to Americans. (Ryan, 2004). Clearly, we must find out what really caused the WTC skyscrapers to collapse as they did. The implications of what happened on 9/11/2001 clearly supercede partisan politics. Physics sheds light on the issue which we ignore to our peril as we contemplate the wars that have been and may yet be justified on the basis of the 9/11 tragedy and its « official » interpretation. To this end, NIST must release the 6,899 photographs and over 300 hours of video recordings – acquired mostly by private parties – which it admits to holding (NIST, 2005, p. 81). Evidence relating to WTC 7 and its mysterious collapse must not be held back. In particular, photos and analyses of the molten metal observed in the basements of both Towers and WTC7 need to be brought forth to the international community of scientists and engineers immediately. Therefore, along with others, I call for the release of these and all relevant data for scrutiny by a cross-disciplinary, international team of researchers. The explosive-demolition hypothesis will be considered: all options will be on the table. In writing this paper, I call for a serious investigation of the hypothesis that WTC7 and the Twin Towers were brought down, not just by impact damage and fires, but through the carefully planned use of explosives/incendiaries. I have presented ample evidence for the controlled-demolition hypothesis, which is scientifically testable and yet has not been seriously considered in any of the studies funded by the US government. At the same time, I acknowledge that other notions have sprung up in the near vacuum of official consideration of this very plausible hypothesis. These notions must be subjected to careful scrutiny. I by no means endorse all such ideas. 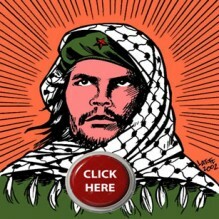 A March 2005 article in Popular Mechanics focuses on poorly-supported claims and proceeds to ridicule the whole “9-11 truth movement” William Rodriguez has sent important information . « Thank you so much for coming out with a report questioning the « official Story » of 9/11. I read with a lot of dedication your paper and I distributed it widely to all the Victims and survivors of that day (I am the leader of the families and the last person pulled from the rubble from the North Tower). You are just missing my experience. I told the 9/11 Commission about the explosions and the events on the sub-basement on that day. They did not put it in the final report. Please check the internet under « William Rodriguez 9/11 ». I am trying to raise the same questions. Since I am a respected figure internationally, I noticed how my testimony has been presented unedited all over the world. But in the USA, I am edited and even though I have a lot of respect from the media, I am asked constantly about other subjects and issues but nothing about the explosions of that day. Congratulations from the side of the really affected on that day. Keep up your investigations. About my experience. My basis was, like I told the Commission, there was an explosion that came from under our feet, we were pushed upwards lightly by the effect, I was on basement level 1 and it sounded that it came from B2 and B3 level. Rapidly after that we heard the impact far away at the top. My assertions are [that] my 20 years experience there and witnessing prior to that many other noises [enable me] to conclude without any doubt where the sounds were coming from. 2ND- Some of the same people that I saved gave testimonies in interviews of the same experience prior to my actually being reunited with them after the event!!! Like I explained, some of these survivors stories were told in countless [interviews] of coverage, but in SPANISH!! I have the actual recordings available of some of the Television Specials that featured our stories. Mr. Rodriguez worked for years in the building and his perception of sounds cannot be overlooked. He is a reliable witness. Above (and elsewhere) he records that the explosion in the sub-basement was followed “rapidly after that” by the sound of an impact far above. This assertion is remarkable for it strongly suggests that the colliding plane or its fuel could not have caused the (earlier) explosion in the sub-basement. William Rodriguez and other witnesses may shed additional light on the explosions in the Towers on 9/11/2001. This site may contain copyrighted material the use of which has not always been specifically authorized by the copyright owner. We are making such material available in our efforts to advance understanding of criminal justice, human rights, political, economic, democratic, scientific, and social justice issues, etc. We believe this constitutes a ‘fair use’ of any such copyrighted material as provided for in section 107 of the US Copyright Law. In accordance with Title 17 U.S.C. Section 107, the material on this site is distributed without profit to those who have expressed a prior interest in receiving the included information for research and educational purposes. A growing organization of building trades professionals suspect that there was more to the event thanthe government will admit. Richard Gage, founder of Architects and Engineers for 911 Truth, says the World Trade Center couldn’t possibly have been brought down by planes. Ed Munyak, a fire protection engineer for the city of San Jose, seemed like a lonely, out-there figure, a sometimes-target because of his outspoken position on the events of Sept. 11, 2001. These days, hundreds of other building trade professionals have joined him in challenging the official narrative about the collapse of three buildings at New York’s World Trade Center (WTC) on that fateful, traumatic day. Today, far from being isolated, Munyak now counts as allies 804 professional architects and building engineers from around the country. Collectively, they have joined Munyak’s call for an independent technical investigation of the causes of the WTC buildings collapse. In doing so, they reject the federal government’s conclusions that two airplanes alone brought the buildings down—without the aid of pre-planted explosives. Munyak and his professional allies insist that they are not conspiracy theorists, and they refuse to speculate on the « why » or « who » of 9/11. Munyak described their basic position in an interview with Metro. 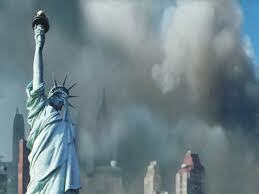 « Buildings do not fail from fire related causes in the way that World Trade Center 1, 2 and 7 failed. Steel frame or composite steel buildings, modern high-rise buildings—they just do not collapse catastrophically like that. It’s impossible. Apparently reinforcing this position, a team of three scientists working at technical laboratories in the United States and Denmark reported in April that analysis of dust that they say was gathered at the World Trade Center found evidence of the potent incendiary/explosive « super thermite, » used by the military. The President’s green jobs advisor, Van Jones, resigned on Sept. 5 amidst a controversy over his statements about Republicans and his endorsement of a 2004 statement by the group 9/11 Truth.org, when he was head of an Oakland non-profit organization. Chemical engineer T. Mark Hightower of San Jose, a member of the American Institute of Aeronautics and Astronautics and of the American Institute of Chemical Engineers, agrees. « It is clear that the buildings had help to bring them down, » he says. AE911 Truth has grown rapidly, igniting a struggling grassroots movement of hundreds of other « 9/11 Truth » organizations, and spearheading a growing assault on the official story. In recent years, other single-profession 9/11 Truth groups have launched or gained momentum, including those comprised of airline pilots, firefighters, veterans, medical professionals, scholars, lawyers, religious leaders and former government employees. 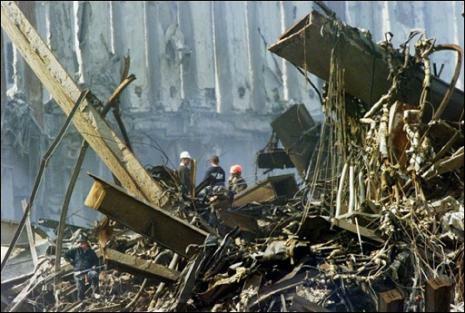 • Cru cial elements of the key government study on the step-by-step events that occurred in the collapse of the WTC buildings don’t stand up to analytical scrutiny. The study was undertaken by the National Institute of Standards and Technology (NIST), the U.S. Commerce Department agency responsible for building and other safety codes and standards. 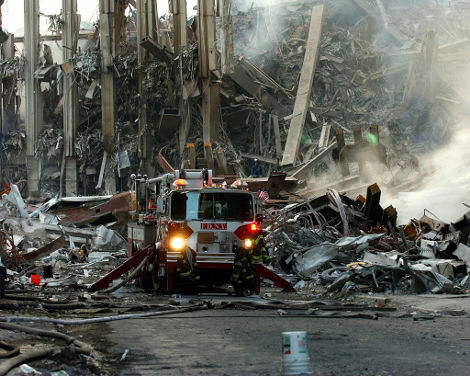 Released in 2005, the initial NIST report concluded that the twin towers, which NIST agrees could not normally be brought down by fire alone, collapsed because of a combination of factors, most crucially the dislodging of fireproofing by the planes’ impacts. 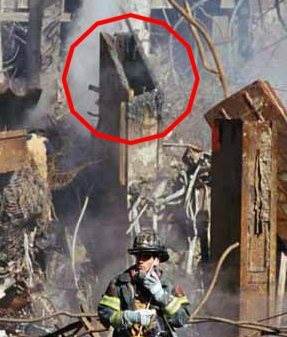 This allowed certain beams to soften sufficiently to force an inward bending of perimeter-supporting steel beams, putting so much pressure on the fire-weakened—and in some cases severed—center steel columns (three severed in one tower and five in another out of 47 in each) that they collapsed in the areas where the planes had struck. NIST also stated that there was more than enough « mass plus acceleration » of the upper stories of the twin towers as they fell to force a collapse of the lower structure straight down at nearly free fall speed, with each floor adding its weight and the force of its fall to the pressures on the floors below—a theory it argues is supported by elaborate computer models. NIST’s report on the third building to collapse, WTC7, released in August 2008, argues that mass computer modeling of existing evidence also fails to support an explosives theory. The report concludes that WTC7 was brought down by seven hours of fires combined with falling debris from the towers that weakened an entire building section and forced the collapse of a key support column, allowing the building to cave in on itself. In 2006, Popular Mechanics magazine published a study debunking critiques of NIST, most notably the assertion that explosives brought down the Trade Center buildings. All this was before engineers, scientists and architects began to organize and present evidence challenging both the official narrative and Popular Mechanics‘ defense of that narrative. 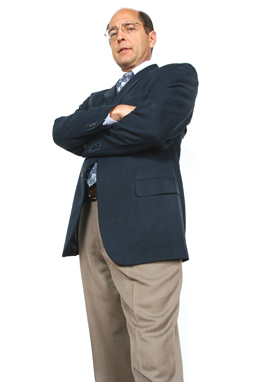 Within his 20-year career, Richard Gage counts among his accomplishments the design of numerous fireproofed steel-framed buildings. 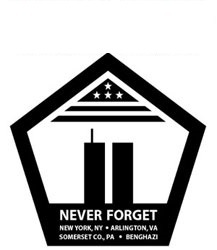 In an interview with Metro, Gage, 53, a lifelong Republican, described having a moment of clarity when he first heard alternative theories of 9/11 presented in March 2006 by David Ray Griffin. As he tells it, he was driving to a construction meeting and crossed the talk radio political divide that day to listen to progressive Pacifica Radio’s KPFA interviewing Griffin. « What Griffin was saying is that the ends of these beams that were being ejected out of the World Trade Center at 55 mph were dripping with molten steel, and they landed more than 500 feet away, » Gage recounts. The station also played interviews recorded after 9/11, including with firefighters who described hearing explosions and seeing flashes of light that would support an explosives/incendiaries theory. Before this, Gage notes, he hadn’t paid heed to the technical details of the collapse or questioned the official story. Particularly striking to Gage was the fact that the taped eyewitness interviews had only in August 2005 been released to The New York Timesby the city of New York by court order—nearly four years after 9/11. « Most all of the architects and engineers that I present to, once they see the graphic evidence, they are completely overwhelmed, as I was, with the forensic-based scientific facts surrounding this case, » Gage says. He gets similar buy-in from nonprofessional groups of all political stripes. As for NIST’s theory that once the towers’ impact-area beams gave way, the mass above them would rapidly crush the lower stories, Gage argues that the premise ignores the laws of physics. « No force can crush that kind of a structure at near freefall speed. It’s ludicrous, » he says. « Not only that, the videos show that 95 percent of the south tower is being blown outside, indicating explosions. And the top of the north tower is being reduced from 15 stories to seven stories before it even starts to drop. Half of its mass is destroyed in the first two seconds. Defending the NIST research, spokesman Michael Newman says the agency’s computer models were highly reliable in their crucial assessment of the amount of fireproofing dislodged—a factor not present in fires in other steel buildings cited by Gage. « Basically, gravity and the utter force of the upper floors forced the towers down, » Newsman says. « If you have 20 floors of mass suddenly released, as it goes downward it picks up more mass and more force—and, yes, you can have a building collapse in 10 seconds, and yes, it is physically possible. However unquestioningly the public, media and government may have accepted NIST’s conclusions (« I saw the planes hit the buildings; what else could have brought them down? » is a common refrain), Gage and his « not-so-fast » colleagues argue that they easily found flaws and ignored evidence in the study. Newman says NIST believes that any molten metal sightings, including metal seen pouring from the south tower, were likely molten aluminum from the airplane. Moreover, he says, NIST was not presented with evidence of molten steel, and if some melted, this occurred after the event, in fires underground, and was not a contributing factor to the fall of the building. Gage dismisses this as « impossible without a source of oxygen such as thermate, » adding that molten metal seen in NIST-cited videos isn’t the color of molten aluminum. Supporting AE911’s theory is Dr. Steven E. Jones, a nuclear physicist known for his work in cold fusion. Jones says he was forced into early retirement from his position as a professor at Brigham Young University because of his work attempting to show that powerful explosives were present in the WTC towers. After Jones initial analysis was harshly criticized for flaws by BYU’s own building engineering department, Jones and other scientists co-authored a new critique accepted for publication in the peer-reviewed New Civil Engineering Journal that mentioned thermite as a potential culprit in the building collapses. This was followed by a research paper published last April. Co-authored by Jones and associate professor Niels Harrit of Copenhagen University’s famed Niels Bohr Institute in Denmark, and by Dr. Jeffrey Farrer, lab manager for BYU’s Transmission Electron Microscopy lab, as well as four other researchers, the paper provided vivid microscopic photo evidence of highly flammable red-gray chips that the authors say appear to be super thermite found in four different reputed WTC dust samples sent to Jones by suspicious New Yorkers who had collected them shortly after 9/11. In an interview with Metro, Jones said his and his colleagues’ microanalysis of the four different samples of dust collected from various sites in lower Manhattan revealed not only extensive presence of red-gray chips of unignited thermite, it also found significant traces of microspheres of previously molten iron that are normally the product of incendiary explosions far hotter than jet fuel fires. « What strikes me as odd, » Jones said, « is that these red chips we found are so striking, and yet no one has reported their presence before. These red chips are very unusual and very prevalent, and they test out as being consistent with a form of thermite. We can ignite them, and they react very violently when touched off. So how do you explain their presence in the towers’ dust? Jones said he sent a letter in April 2008 to NIST about his findings, inviting it to test its own dust for such chips. In public comments since, NIST has dismissed his research as not scientifically valid, because Jones can’t prove the « chain of custody » of the dust he tested. Other groups, notably contributors to AE911.info, which supports the NIST findings, argue that neither the samples nor Jones tests are reliable. Says Gage, « In the twin towers, it’s very explosive. You can see the explosions in all the videos, and what’s happening is the explosions are creating this incredible dust cloud. The dust clouds are forming immediately. In the dust from the WTC, you have millions of these tiny, perfectly spherical microspheres of iron. Now, where did they come from? Dr. Jones notes that a USGS scientist told him the microspheres might have come from the cleanup process, when crews were cutting steel. « Problem is that we have samples from long before the cleanup began, » he says. Eyewitness accounts of explosions, he says, weren’t evident in 10,000 interviews NIST conducted, and a few such reports were readily explained by other phenomena. « No one gave us any evidence that there was any kind of explosive, » Newman says. Nor did NIST find evidence of a « severe high-temperature corrosion attack, » he says, noting that sulfur and manganese were heavily present in building materials and that any corrosion might have occurred in the debris pile after the buildings’ collapse, due to the conditions there. AE911 critics support NIST with an argument that explosive sounds likely derived from electrical and air-conditioning transformers exploding, the sound of floors collapsing onto each other, or rivets popping all at once as the pressure got to them. « The way I see it, it had to be the rivets, » the online Journal of Debunking 9/11 Conspiracy Theories quotes one firefighter saying. Newman acknowledges that NIST’s response that it sees « no need » to test dust for any form of thermite won’t satisfy critics, and adds: « We don’t try to debate or argue with these folks because they have their opinions and what they believe is evidence, but to us it is counterproductive to engage in debate.